Beautiful heirloom from Sicily and a classic Italian taste: robust but not too hot. Perfect for pasta sauces and salad dressing. 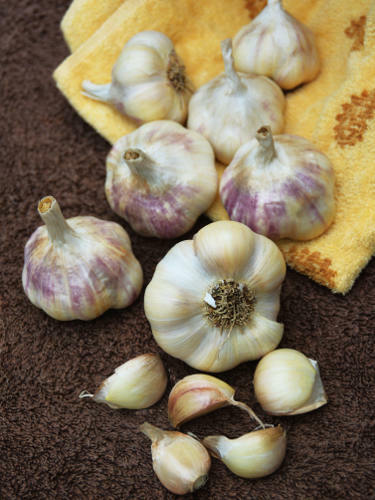 An excellent producer of large flattened white to beige bulbs up to 85g/3oz with outer skins mottled purple. Sometimes partially bolting in the coldest climates but bulbils are large enough to cook with! Like other artichoke garlics, it is not fussy about soil; it does well in sandy, silty and clay soils. 8-11 cloves per bulb.